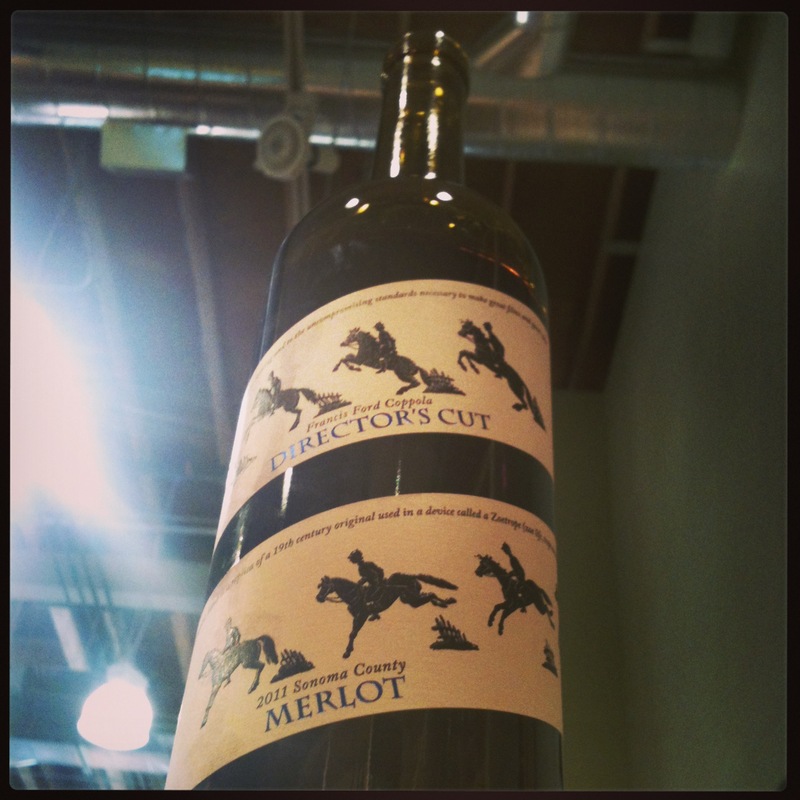 Enter the Coppola Director’s Cut Merlot. In spite of the obvious cash in on his cinematic notoriety, I’ve been consistently impressed by Coppola’s Director’s Cut line. I had the opportunity to try the Merlot at a recent tasting event, and what struck me right off the bat was the way this wine plays with your expectations. Acid! Quite a bit of acid, actually, and plenty of red fruit: cherries, red currants, cranberries even, with a fairly light body for a Merlot. The tannins were there but they weren’t obtrusive, giving the wine structure but not bite. If the bottle hadn’t been right in front of me, I might have thought the wine was an import from Italy. With a little air, the nose started to more closely resemble the flavor of the wine itself, but right out of the bottle the wine throws you a real olfactory curve ball, and I like curve balls, especially in wine. All in all, the wine struck a nice balance of versatility, being sturdy enough to pair with a meal but also mellow enough to be enjoyed on it’s own over a friendly debate about which version of Apocalypse Now most effectively conveyed the madness of the Vietnam War. It was a good reminder not to judge a wine solely by it’s bottle, even though the bottle puts a lot of effort in trying to influence you, for better or for worse. The very pairing of “Coppola” with the title “Director’s Cut” implies that the winemakers lack the confidence in their wine to sell itself without hearkening back to the glory days of The Godfather, but the more of his wine I try the more I think the association is unnecessary. Coppola has really stepped up the quality of his wine in recent years, and even without a label or a name, this bottle would stand tall under its own merits, with the only pertinent association being the one made between our palette and the wine itself. → Progress marches on, but at what cost?